If you could do one simple thing that would improve your cat’s health for the rest of her life, wouldn’t you want to do it? Well, there is. Stop feeding dry food. Dry cat food, even the high-priced premium and veterinary brands, is the equivalent of junk food for cats. It’s really not all that different from feeding sugared cereals to kids. Cats are obligate carnivores: this means they need meat not just to survive, but to thrive. They cannot get enough nutritional support from plant-based proteins such as grains and vegetables, because, unlike humans and dogs, they lack the specific enzyme that processes plant-based proteins metabolically. They need few or no carbohydrates in their diet. Feeding foods high in carbohydrates can lead to any number of degenerative diseases, including diabetes, kidney disease, and inflammatory bowel disease. Cats need moisture in their diet. While cats who eat only dry food will generally drink more water, they still don’t get enough moisture to support all their bodily functions and essentially live in a constant state of low level dehydration, which can lead to bladder and kidney problems. For more on why this happens, please read Dr. Lisa Pierson’s comprehensive article Feline Urinary Tract Health: Cystitis, Urethral Obstruction, Urinary Tract Infection. When I first started speaking out about the dangers of dry food, I felt like a bit of a lone wolf (or tiger). The major pet food companies certainly don’t support this view, with their seemingly endless array of bags of dry food, all touting the nutritional balance and completeness of their contents. Thankfully, I’m not alone anymore. 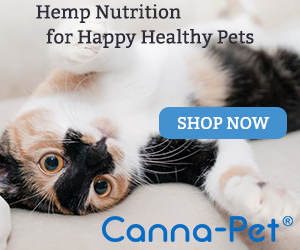 More and more studies are substantiating that a species-appropriate diet high in meat and moisture with few or no carbohydrates is the right diet for our feline family members. As far back as 1998, a study conducted by Dr. Tony Buffington at the Ohio State University on the effects of diet on lower urinary tract diseases in cats came to the conclusion that high moisture content of a cat’s diet can reduce the recurrence of idiopathic lower urinary tract disease in cats by more than half. A more recent study conducted at the University of California-Davis concludes that cats eat less, lose weight and maintain healthy body composition when fed wet diets. The UC-Davis researchers also found that the cats in the study preferred canned food to either freeze-dried or dry food. Another study, conducted at the Faculty of Veterinary Medicine at Utrecht University in The Netherlands analyzed the diet of cats living in the wild. Not surprisingly, researchers found that feral cats are obligatory carnivores with a diet high in protein and fat, but low in carbohydrates (only 2% of daily energy). I was particularly delighted at the conclusion the authors of this study arrived at: future research should focus on the value of feeding a natural diet of whole prey as an enhancement of feline health and longevity. If your cat is still eating dry food, I urge you to consider changing to either an all canned grain-free diet, or to a raw diet. I am new to your website but am interested in your theories on dry food vs wet and/or raw food for cats. My cat is having some vomiting and I am considering changing her diet. A friend of mine had coyote mix dogs and swears by the brand Wysong – I was surprised that I didn’t notice it in any of your comments. Do you have any thoughts or experience with this brand? I’d be happy to evaluate the brand for you, Geri. There is a small fee for this service. Please contact me via email if you’re interested. My cat Tabitha, my angel who was around for 10 yrs before I started taking care of her. She only ate canned (wet) food & her teeth weren’t the best because she never had dry food or crunched much.. I think “crunching” helps the teeth stay strong or they get weak from just soft food..
Actually, the idea that dry food is good for dental health is a myth that just won’t die, Carly. If that were true, dentists would tell their patients to eat crunch pretzels or crackers! Most cats don’t chew their kibble long enough for any of the scraping action that is the theory behind this myth to kick in. What little they do chew shatters into small pieces. 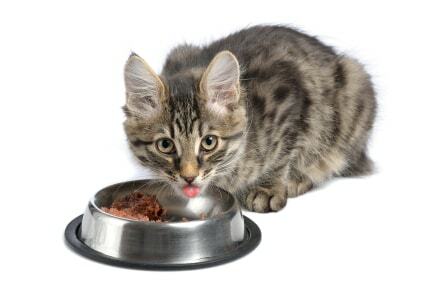 Some pet food manufacturers offer a “dental diet” that is made up of larger than normal sized kibble to encourage chewing, but in my years at veterinary practices, I’ve seen many cats swallow even those larger size pieces whole. Additionally, dry food actually leaves a carbohydrate residue in the cat’s mouth that actually encourages growth of tartar and plaque. PS: I want to add a positive comment to wet verses dry and that is that two of my cats did have health problems. One had a bladder problem and the other was showing kidney problems. The Vet put them on prescription CD and KD diets. I refused to use the CD diet and switched to a premium wet food he vet approved of and she added an Omega supplement along with a Cosequin supplement. It took almost a year but kitty’s bladder did heal. During this time one of my other kitties showed up as having the early stages of kidney failure so was started on canned KD diet. I was told she couldn’t eat the premium wet and dry food as the protein counts are too high. So I was forced into buying the KD diet which was even more expensive than the premium wet food. After a year on this kitty did something that surprised the vet, and according to him doesn’t usually happen, her kidneys healed. So I have to say there is something to the wet diet over dry. When I asked about returning kitty to the premium wet food I was told I could, just to stay away from the dry. So you can see why I am interested in this dry vs wet feeding. If you feed a high protein canned food in the correct amount for your cats, you will find that they’re less hungry. Yes, canned food is more expensive, but even the least expensive canned food is still better for your cat’s health than a premium dry food. Why is no one addressing the fact that premium diets don’t have that many carbs and do contain protein AND if a cat if only fed wet food how many anaesthetics for dental scale and polishes is he going to need? Dry food, even the premium grain-free brands, is too high in carbs for an obligate carnivore like the cat. The myth that dry food helps keep teeth healthy is one that just won’t die. Most cats don’t chew their kibble long enough for any of the scraping action that is the theory behind this myth to kick in. What little they do chew shatters into small pieces. Some pet food manufacturers offer a “dental diet” that is made up of larger than normal sized kibble to encourage chewing, but in my years at veterinary practices, I’ve seen many cats swallow even those larger size pieces whole. Additionally, dry food leaves a carbohydrate residue in the cat’s mouth that actually encourages growth of tartar and plaque. The only thing that really helps prevent build up of tartar and plaque is regular brushing. There really is no benefits of having dry food. Dry food, in fact, does not clean the teeth but deteriorates it. See what effects on teeth dry food does: http://feline-nutrition.org/answers/answers-what-dry-food-does-to-your-cats-teeth. Another con of dry food is that it doesn’t have enough moisture. Hey, maybe that’s one of the reasons why our cats get sick so much. Lets take a look that. Now if you look at dry food pros and canned food cons, you’ll see dry food is cheaper and has crunchiness that your cat may like. There isn’t really a cheaper food. It all depends on where you get it from. Nature’s Variety Instinct for cats is very expensive in one place I looked for 32 bucks, but then Pet Supermarket, canned food was way less then that. It depends on what brand your getting and where your getting it from. I would rather choose the health of my cat over money, if its an affordable price. Then theirs crunchiness. Depending on your cat’s personality, your cat may like that, and if kitty likes that you don’t want to get rid of it, right? Well, making a switch to no dry food will be easy on kitty if you gradually get rid of dry food. Why would you choose dry food over a healthy cat when you can just gradually get rid of it without kitty be too sad about it? And if you really want to, give kitty a crunchy treat every day. (Low calorie treats if overweight, and preferably give them when teaching kitty tricks to lose weight). I agree that no food is perfect, but dry food is never a good choice for cats. we need to supply them with filtered or quality water. My cat only wants Fiji, that speaks volumes. A cat with refined tastes – I love it.